Seaplanes. Mega-yachts. Boeing and Embraer aircraft. Expect them in Fort Pierce soon. The Sunrise City has an economic boom on its hands. “The city is on the edge of better times,” says Peter Tesch, president of the St. Lucie County Economic Development Council. The EDC plays an important role in marketing the county and its cities to attract new companies and providing studies that serve as guidelines for economic improvement efforts. Unemployment dropped steadily from 7.2 percent in January 2018 to 4.9 percent in the city in November, the last date available as of late December from the Bureau of Labor Statistics. While part of the reason is the overall improvement in the state’s economy, a big factor is the welcoming local business climate and the network of major highways running through the county. The port, the airport and the more than 350 manufacturers that call the county home all play significant roles. The unemployment rate is likely to go even lower when the port and airport begin this year to move into the maintenance, repair and overhaul, or MRO, business, creating hundreds of well-paying jobs over the next four years. Mega-yacht maintenance, repair and overhaul at the port could generate as many as 900 direct and indirect jobs with an economic impact of $105 million in four years, according to Port and Airport Director Stan Payne. Prompted by a commitment to create more jobs in the northern part of the county, St. Lucie County backed away from decades of attempts to attract long-term commuter airlines to the Treasure Coast International Airport, just outside of Fort Pierce, and cargo ships to the Port of Fort Pierce, he says. Job opportunities for Fort Pierce and surrounding area residents are expected to swell now that county commissioners have decided to build a $7.4 million hangar at the airport and find a company that will maintain, repair and overhaul planes there. The federal and state governments are paying for 70 percent of hangar costs; the county pays for the rest. An airport business plan drawn up by consultants in 2015 showed that the airport would benefit greatly from the county taking on the job of building the hangar. It also recommended changing the airport name from St. Lucie County International Airport to Treasure Coast International Airport. At the port, a company to maintain, refit and overhaul yachts that exceed 200 feet in length is expected to complete lease negotiations in February. Together, the port and airport are expected to create hundreds of jobs for skilled workers in and around Fort Pierce. St. Lucie County is currently opening contractor bids for its new 32,545-square-foot hangar at the airport. Construction is expected to be complete this year. Plans call for finding a company to operate there, repairing, maintaining or overhauling airliners like the narrow-body Boeing 737, or similarly sized Airbus A320, and an Embraer 175 corporate jet at the same time. Michael Cohen, president of Aviator College of Aeronautical Science & Technology at the Airport Business Park, says the college is embarking on an expansion that will enable it to offer airframe and powerplant training, and that in turn will help to supply skilled workers to the new hangar facility at the airport. “There’s a great shortage of mechanics as well as pilots worldwide because of the baby boomer retirement,” he says. Now serving 650 students, he expects 800 or more after the expansion. The school is adding 5,000 square feet to its current academic building and constructing another 18,000 square feet for the airframe and powerplant programs. He is also installing a simulator for pilot training. The port and airport are intertwined, Hudson says. If the company selected to operate at the hangar is interested in working on corporate jets as well as large airliners, yacht owners can fly in on their private jets and have them serviced at the airport while visiting their yachts. Whether they do or don’t want to work on the smaller jets, such as the Embraer, Payne says that the success of the hangar will lure other companies that want maintenance hangars too, and the airport has plenty of room for them. Negotiations with the chosen mega-yacht repair company, Derecktor Shipyard, should be complete in February, says John Koenig, spokesman for the Dania-based company, which also committed to moving its headquarters to Fort Pierce. But the county and city are expected to end up with two mega-yacht facilities at the port because the company that wasn’t selected, Fort Pierce Yacht and Ship, purchased a little more than an acre on the port waterfront and plans to open its own mega-yacht refit and repair company there. 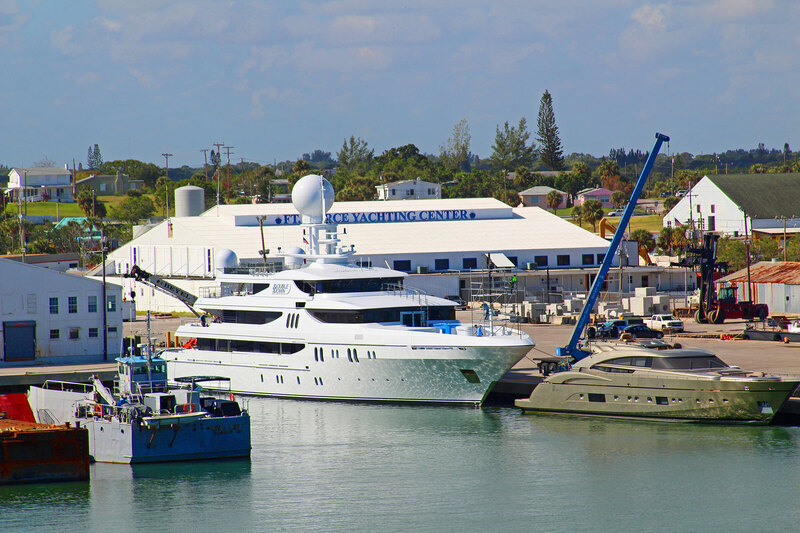 Buddy Haack, of Fort Pierce Yacht and Ship, ran a mega-yacht repair and refitting business at the port in 2015-16 but wasn’t able to secure a long-term lease from the private owners. Since then, the county purchased the 12-acre working waterfront of the port, along with the King Terminal, formerly the Indian River Terminal, and now plans to lease it to Derecktor. That didn’t deter Haack and partners from opening their own business from private property adjacent to the port waters. John Koenig of Derecktor says Fort Pierce presented a good opportunity for them. “In Fort Pierce we can serve a different market beyond the 200-foot yachts and 900 tons we are limited to at the other shipyard,” he says. The company plans to install a lift that can handle 1,000 tons or more to haul boats out of the water. He expects to be able to work on six to eight ships at once, both in and out of the water. The city, meanwhile, seeks to build a seaplane base at Veterans Memorial Park with the hope of creating a thriving business that will bring more pilots and visitors into the downtown. Flights taking off from there may go to the Bahamas or other destinations, says Hudson, pointing out the success of Tavares, a small town in the middle of the state whose economy blossomed after a seaplane base was installed on Lake Eustis. The base, which could be located by the shuffleboard courts at Veterans Memorial Park, could cost between $350,000 and $500,000. The city is looking for funding to help pay for it. Hudson is enthused. “We’re the perfect place for this with our proximity to the Bahamas,” she says. In October, Steven McCaughey, executive director of the International Seaplane Pilots Association, told city commissioners that he thinks the location “is very suitable” for a seaplane base. The more intense focus on bringing in companies offering well-paying jobs and expansion of existing companies is succeeding, says Jill Marasa, the EDC’s vice-president of business retention. In the last 18 months, 344 jobs were created inside city boundaries and another 166 just outside city boundaries. All the jobs require skilled workers, either in manufacturing or in trades requiring special skills. Andrew Bouley, a Fort Pierce native who works for Auto Labe, a company that makes pressure-sensitive labeling equipment at the Airport Business Park, went back to college to gain the skills he needed to advance. He was a service technician but with the birth of his first child, decided he didn’t want to travel so much. He began taking classes at Indian River State College in 2010 and was able to make the jump from service tech to assistant electrical engineer at Auto Labe. With additional training at Auto Labe for specific programming needs, he was able to move into an electrical engineer job, taking the place of someone who retired. His salary tripled, he says. Then, he went back to IRSC and earned an associate degree in 2016. Although his job title at Auto Labe is electrical engineer, he says he would need two more years of college to qualify for that title elsewhere. “When I was taking classes, about two-thirds of the people were older adults and either their industry was dying off and they needed new skills or they were looking for a better job in their field,” he says. The city historically has had a high unemployment rate, reaching 15 percent during the Great Recession. St. Lucie County, which owns the port inside city boundaries and the airport just outside of city boundaries, and the city of Fort Pierce are both committed to improving job prospects in the city and nearby area. “A big part of the reason for our success is the collaboration between public and private partners,” the EDC’s Tesch says. “For example, the school district has said they’ll provide service in whatever area we need.” The district has career academies in its high schools. 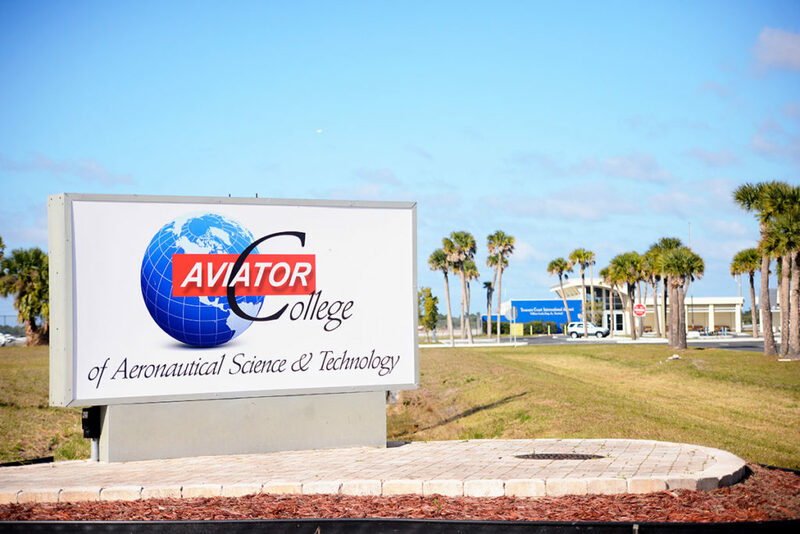 Indian River State College received a $1.53 million grant from the Florida Department of Economic Opportunity to create a new aviation and marine training program that can train up to 140 workers a year. The marine and aerospace industries on the Treasure Coast had more than 300 job openings last year, the college said in its grant announcement in October. The programs started their first “fast track” non-degree phase in spring semester and in the fall will begin their degree program courses. Starting salaries of about $44,000 a year are expected, $11,000 over the current average career salary, the announcement stated, estimating a $2.8 million direct increase and $14 million indirect increase to the local economy. The college is also seeking $14.8 million from the state to construct a 55,000-square-foot advanced manufacturing center. The total cost will be $23.3 million. The center will be able to train workers in many of the skills that will be needed by businesses. The EDC’s 2017 Skills Gap Study lists hundreds of job openings for skilled workers needed now and in the next couple of years, Tesch says. In 2017 the EDC did a study which showed that by 2015 there were already 352 manufacturing firms in the county, some of which are expanding. And more are moving into the county. The county has an advantage due to the network of major highways that run through it, making it attractive to industries that consider settling there, the study reported. Many air- and marine-related manufacturers in the county are expanding and looking for skilled workers. Maverick Boat Group has already undertaken one expansion on land just south of the airport and has more planned. Pursuit Boats has expanded. Both sell nationally. Phoenix Metals, which makes stairways for airliners and other air-related products, has expanded. But other companies, like Natalie’s Orchid Island Juice Company, are also expanding. Natalie’s created a 55,000-square-foot production facility on DiGiorgio Road which led to 50 more jobs. Radical Cosmetics created 75 jobs. 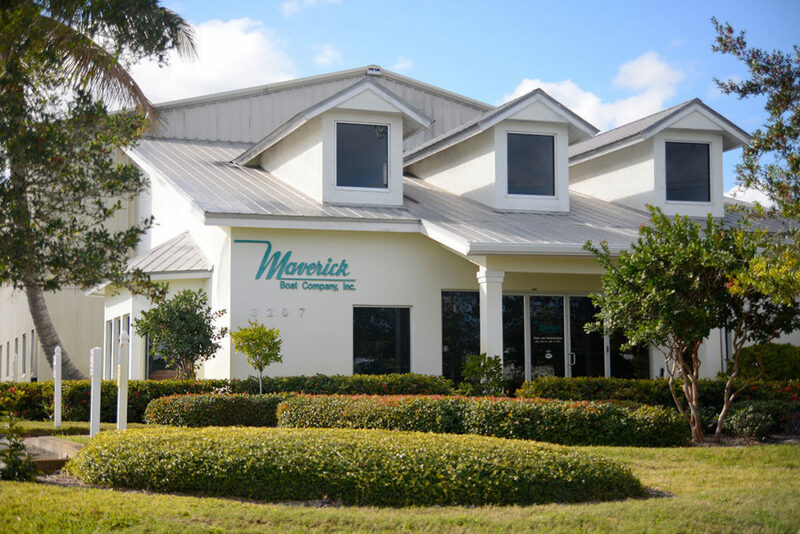 Meanwhile, the Fort Pierce Utilities Authority garnered a $1.9 million state grant to help pay for water and sewer line extensions in that area, making way for other companies to settle in the vicinity. As one thing builds upon another, “The time has come for a bright future,” Stan Payne says. Maverick Boat Group expanded and added 100 skilled jobs to its existing 273. Studies and Reports 2015-2019: www.youredc.com. Click Studies and Reports in the green bar at the upper right.